I've been slowly been making my way through the Doctor Who Audioplays that was produced by BBC Audio during my favourite era of Doctor Who. I have already reviewed the first three - you can find them here. I found this one to be a bit boring, okay, a lot boring. The plot ended up being rather lackluster and did exactly what I wanted it to: get me to sleep. I struggled to get through this one and fell into the trap of not wanting to put on this audiobook and choosing 10-hour cat purring videos. Michelle Ryan as a narrator just wasn't for me. Maybe it's because I grew up on Eastenders and I still can't help but tie her to the Slaters - she just didn't evoke that of a Doctor Who audio that I have come to love. 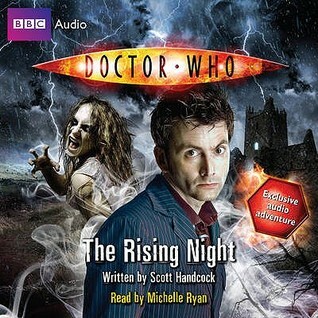 The plot felt rather generic and reminded me a lot an earlier audio in the collection, The Nemonsite Invasion. Although I really enjoyed the setting of this one, but I think that is just about it. Overall, I'm just a little 'meh'. When the Doctor arrives on Earth in the far future, he is horrified to find the planet beset by famine and starvation. England is a barren wasteland, and scientists are desperately seeding the ground to make the crops grow again. But now it seems that something even worse is happening. Karl Baring, the owner of research facility The Grange, has been snatched away in the middle of the night. His sister Katy was with him when he vanished, but is now in catatonic shock — so it is up to the Doctor, with the help of the scientists at The Grange, to investigate. What is lurking under the old bridge, and why is it preying on people? 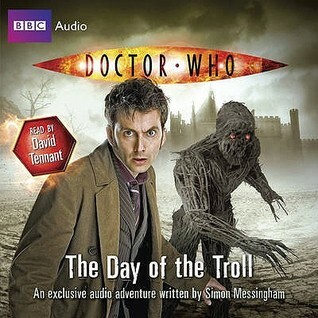 Another brilliant audio play with David Tennant's narration. Petition to get David to do more audiobooks, please, anyone? I think what these later audios lack is having that one companion or temporary companion that gets the listener attached to the story. That being said, David did a fantastic job at crafting the voices of the group of characters and kept me interested and kept them separate in my mind. The setting was another very generic end of the world setting and quickly fell into the wayside as the plot progressed.